Even with a green butterfly. You can find out how the Butterfly was made at www.shirlscards.com or at www.youtube.com/watch?v=1670gRJsuMg Concertina Butterfly Template. 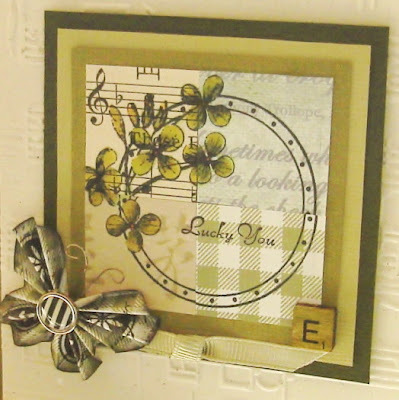 Lucky You is from Stampin’ Up. Music sheet embossing folder from Darcy’s. Have a wonderful Patty’s Day, see you April first. Shirley will be over the moon! I really need to make one of these! 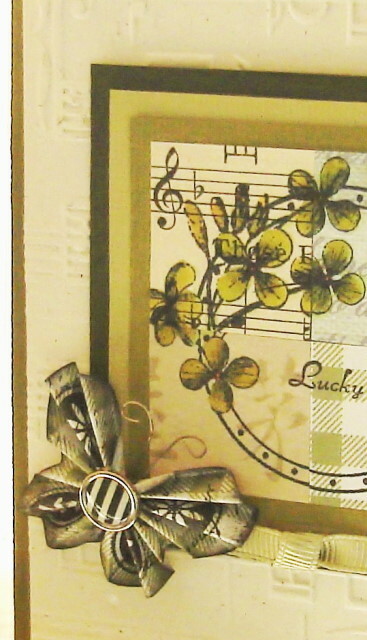 Vada, your scrappy card is so pretty! Love all these greens! Happy Saint Paddy's Day to you! Hugs! A gorgeous scrap card, the butterfly is amazing. I love St Pat's Day cards-all year long...... 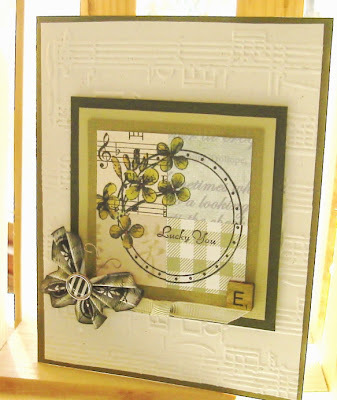 I really like the layout using scraps- how cool is that! Love the butterfly too- thanks for the tutorial! Beautiful image and colors, Vada. Love that butterfly, too! Fantastic job lining up the pieces! I love the color shading, thje images and the butterfly. Thanks for the link! Perfect in green Vada, beautifully created.